Len grew up in Pittsburgh Pa and went to college at the U. of Pgh. He was trained as an engineer and was working at Lawrence Livermore Laboratory in Livermore Ca. when his two children came to live with him. They were in grade school. His children lived with him for 14 years. He quit his job and began working from home. During that time he developed the skills necessary to provide the time freedom and lifestyle he wanted for himself and his two children. Len currently snow skies in Kirkwood Meadows in the winter and lives in San Diego in the summer. He is a published author and internet and network marketer. This book, “Adventures in Single Parenting” is the story of the journey he took with his two children. 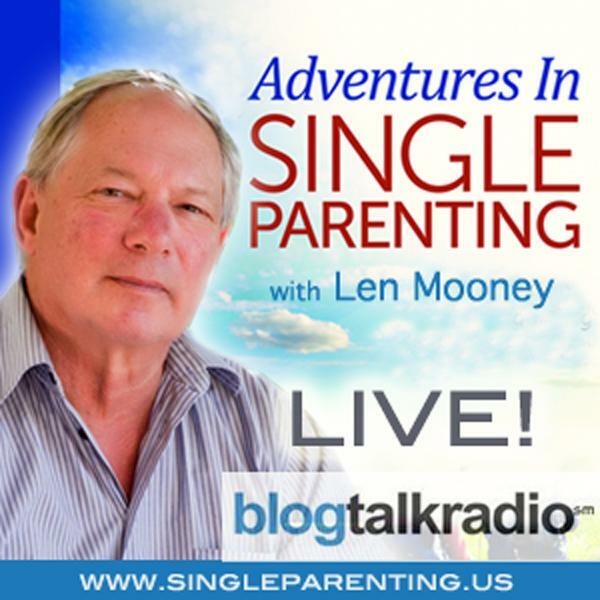 A really fun, entertaining show in which Len discusses the issues surrounding single parents dating and integrating together diverse familes and their children. Does the Brady Bunch work in real life? Iinterview with single parent Linda Woodward. Linda raised three children, while working and has an interesting story to tell.